In this ongoing series that will last most of spring training, we’re going to look at each player that will be in Major League camp with the Cincinnati Reds. Each post will have some information on the player. There will be some background information, profiling, projections, and more. To see all of the posts in the series, you can click here. Today we jump further into the 40-man roster, looking at pitcher Tyler Mahle. Acquired: 7th round, 2013 draft. Years of MLB Experience: Two. Drafted out of high school, Tyler Mahle took several years working his way up through the minor leagues. While doing so he threw both a no-hitter and a perfect game, dominating most of his minor league career. In late 2017 he was called up to Cincinnati to make his debut and he started four games. Last year he spent most of 2018 in the Reds rotation, but saw some action in Triple-A in August. The season started out well for Tyler Mahle as he allowed just one hit in 6.0 shutout innings to begin the year against the Cubs. But he allowed 10 earned runs over his next two starts that spanned 10.0 innings. He really settled in after that for the next two-and-a-half months. Over his next 15 starts he posted a 3.28 ERA in 82.1 innings with 83 strikeouts for Cincinnati. But right before the All-Star break he hit a rough stretch and only made it out of the third inning in one of his next four starts. 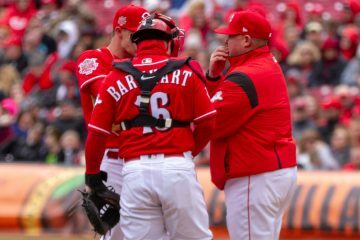 That led to the Reds optioning the young right-handed pitcher to Triple-A in early August. He finished out the minor league season with the Louisville Bats, making five starts with a 2.73 ERA. He would come back up to Cincinnati in September and make one start on the 9th, but that was the final time he would appear during the season. After being drafted the Reds kept Tyler Mahle back in Goodyear to pitch for their complex level rookie team. He posted a 2.36 ERA in 34.1 innings there. The next year he moved up to Billings in the hitter friendly Pioneer League. While there he allowed 5 home runs and posted a 3.87 ERA with 15 walks and 71 strikeouts in 76.2 innings. The next year he would move up to Low-A Dayton and that’s when he had a true breakout year on the statsheet. As a 20-year-old he posted a 2.43 ERA in 152.0 innings with 25 walks and 135 strikeouts. In 2016 he moved up to Daytona and once again dominated, posting a 2.50 ERA in the first half, earning a promotion to Double-A Pensacola. That promotion, though, was what led to the first time that Tyler Mahle struggled. He made 14 starts in the second half with Pensacola and posted a 4.92 ERA. The big difference was that his home run rate basically doubled. The next year he returned to Double-A and went off, posting a 1.59 ERA in the first half before being promoted to Triple-A Louisville. He picked up where he left off with a 2.73 ERA in 10 more starts there before joining Cincinnati in September. Two of the projection systems are about the same for Tyler Mahle, except in the innings pitched category. Marcels like his ERA quite a bit better, though his peripherals are pretty similar. 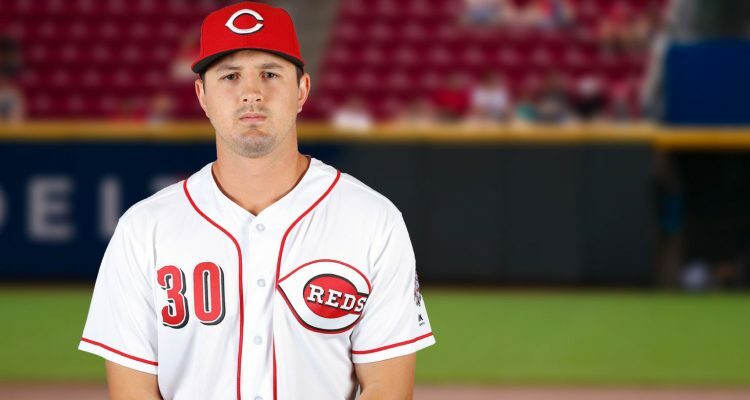 How could Tyler Mahle fit in Cincinnati in 2019? When spring training began, Tyler Mahle was not one of the five starters named by David Bell as in the rotation. That left open the question of what role he’d be in. But as so frequently happens in the spring, injuries pop up. Alex Wood doesn’t look like he’s going to be ready to start the season on time, which may open up a shot for Mahle to grab a starting spot – at least to begin the year. It’s tough to say after that, as all kinds of things could happen. What does seem likely, though, is that wherever he’s at, he’s going to be viewed as a starter. Mahle does seem to be a Cubs – killer. It’s really rare for any team to go through the whole year with only 5 starters. Mahle is right on the edge of being ready. Cody Reed, and a couple of others are pretty close. Alex Wood likely will not be ready. So Mahle it is. Nobody should be upset about this, beyond the concert about when Wood will be ready to pitch. Mahle seems bright. When things derailed last year, the big show was not the place for him to figure it out – he had never struggled like that before. If he does have it figured out, it might be tough to get him out of the rotation – I think he can be very good. And, it’s a win either way. I would be very happy to see him figure it out and earn a spot. I’d also not be upset if he had another year to cook at AAA. Just curious, I did not know this and did not see it in your 2018 recap. from Mark Sheldon article: “Mahle also quietly dealt with a sore shoulder for a good part of 2018, which was something he concealed. He was eventually shut down after one September outing with a stress reaction in his rotator cuff. This kind of explained the drop off he had last season. I wonder if the secondary stuff not being as good as the fastball led to the injury. Kid has a chance to be really good if secondary stuff plays up. 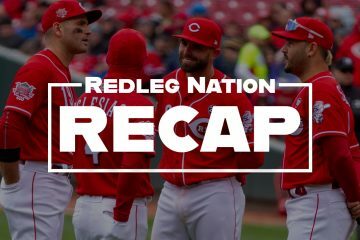 I’m optimistic about Tyler Mahle (and Cody Reed) as effective big league starters emerging from the Reds farm system ahead of the next wave including especially Santillan and Greene. Mahle has shown he can be very good at the major league level. I’m hoping Derek Johnson and Caleb Cotham will help him harness that potential even more, and certainly more consistently. I don’t know if anyone has really focused on helping him understand how to be most effective, but I’m excited about what the tutelage of Johnson and Cotham can offer. And if it’s true Mahle was hurt a bit last year then I’m even more optimistic. Pitchers who deviate from the standard repertoire and approach often have early success until scouting reports and familiarity overcome those unknowns. But if Mahle’s problem was actually injury instead of just adjustments by the league then perhaps his ceiling remains very high. And whether he lasts in Cincinnati or loses a slot when Wood is at full health I do hope he (and Reed) get consistent starts all year. With Wood and Roark only inked for 2019 Mahle and Reed become important contributors in 2020. The more starting experience they have the better prepared they’ll be. Tyler Mahle was hurt about 2 games before the All Start break. He did mention it to the trainer to get something for inflammation but besides that kept it to himself (Young mistake). This should not have mattered as his actions should have easily had red flags. Video clearly shows something changed. How did the interim coaches or pitching coach not pickup on this. Velocity dropped, no fastball control. What else is their job if to not pickup on this stuff especially a young pitcher. it’s sad that he was the best pitcher until he got hurt and now healthy is put on the back of the bus. He will rise to the top again as his ability and work ethic will overcome. Plus during the off season he was able to change his off speed pitches which was badly needed and now look great!. Admittedly I’ve been high on Mahle for a while now, but that first one vs SF made me a believer after 2 innings. 95 on the heater with movement (comeback action) that I didn’t see last year. Its on all the secondary stuff, but I think the kid has a little more upstairs then the other youngsters in this organization. Obviously he was up-n-down last year. A couple of those games he was struggling to hit 92. That ain’t good when you’re primarily a fastball pitcher? Bottom line though….I think these guys doing the projections are going to look stupid when all is said & done. I see 160 ip with 175 Ks and a 3.50ish era. Someone is going to be way off.